The car has been packed (to almost bursting point). Everyone has been bundled into the car and we've travelled 2.5 hours down the highway to a sleepy seaside village on the NSW south coast. One of the main things which I prepare before traveling is MY entertainment. We come to these places where FlyBoy enjoys fishing and the kids ride their scooters, play in the playgrounds and swim in the (too cold) pools/lakes/ocean. 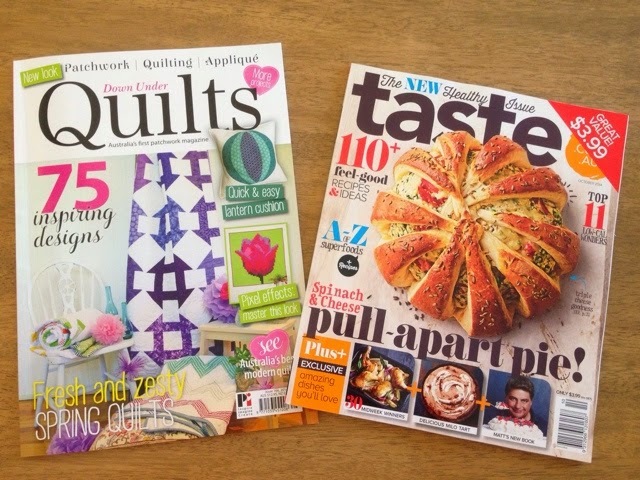 Magazines for a little lite reading. Doesn't that spinach and cheese pull-apart on the cover of taste look delicious? 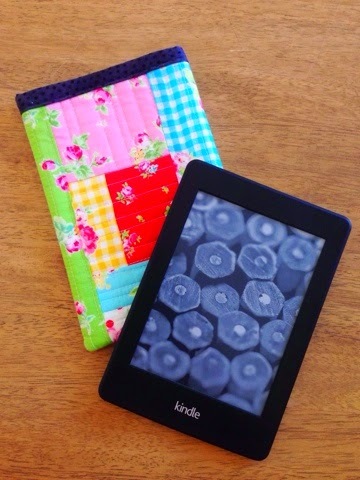 My kindle filled with romance novels. Yes, I admit it. I like to read Mills & Boon and Harlequinn romance novels. A stitchery project to keep me entertained in the evenings. And a few more stitchery projects, just in case I finish the first one and need more hand sewing projects to keep me going. How many projects do you take away with you? What else do you take along to keep you entertained while the rest of the family communes with nature? LOL! I commune with nature during the day, and my evenings are spent blogging, looking at my photos, and planning the next day's adventure. That being said, I have a crochet project for the car, a cross stitch project, and perhaps some hexies or yoyo's. Just in case. One should always be (over) prepared!! Enjoy your Time away. I take more projects than I could complete in a month of solidly working on them! 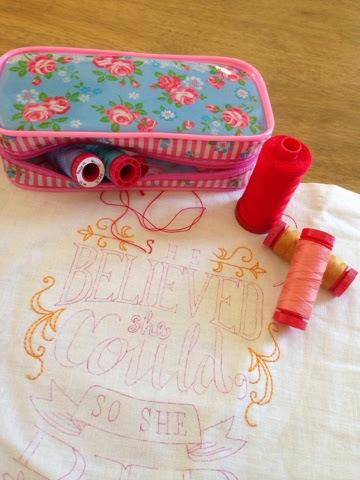 For some reason I'm always worried I'll run out of things to do, and that I'll forget vital things (which I sometimes do), so a range of projects from hand sewing to beading are necessary! I confess I love a good romance novel (so much I've been known to attend the Australian Romance Readers Convention). 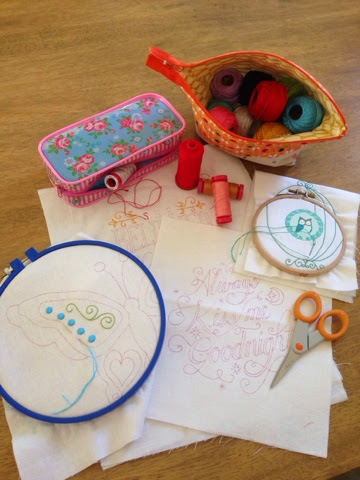 I love the stitching projects you're doing - where do you find them? Each time I see that pull apart I have to do a double take as I think it looks like a pumpkin! Hope you're having a fun trip!